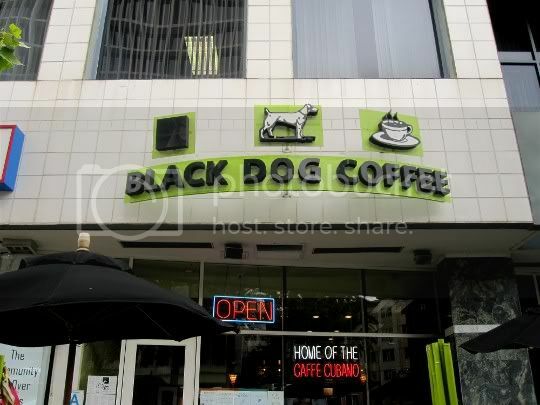 A cute Mid-Wilshire coffee shop, Black Dog Coffee is great for people watching, hanging out, and actually enjoying veg options. The place seems to have a nice amount of steady traffic, so I'm guessing it's a staple eatery amongst workers and residents of the area. There is ample outdoor umbrella-ed seating; inside, nicely aged and beat-up wooden chairs (necessary for any "true" coffee shop) and tables sit atop a brown tiled floor. Pea soup green walls contain interesting decor: old painted beer bottles serve as wall vases, a theft-worthy style idea. 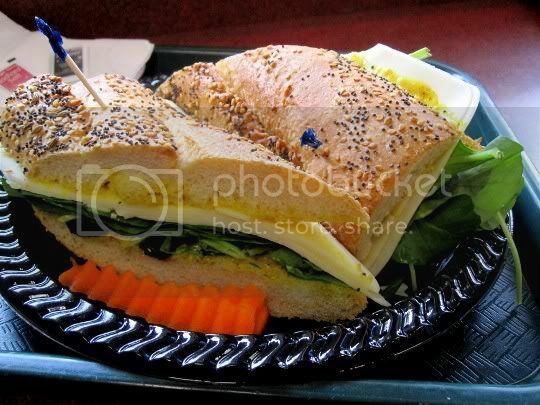 The place offers free wi-fi, and the Wilshire-facing counter-style eating area makes this a nice, cozy place to chill. 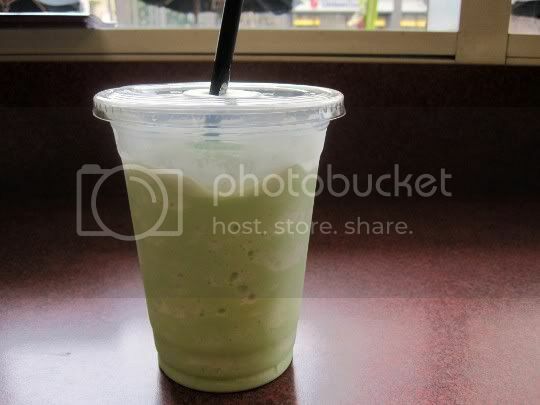 Black Dog Coffee actually offers vegan goods: soy milk for smoothies, coffees, teas, various snacks, and soups. The soups change daily (there is a monthly calendar available), but the vegetarian black bean soup is offered daily. Their smoothies are listed as "99% dairy free"...I'm not quite sure what that means. 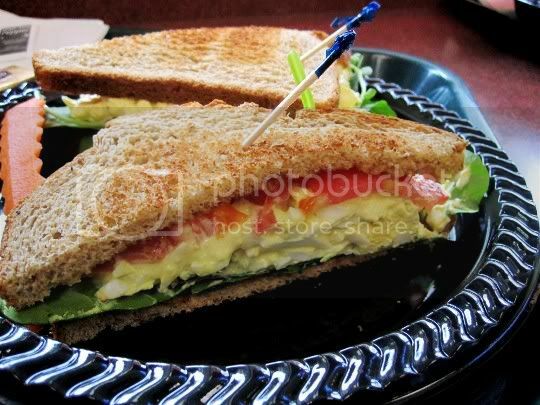 A breakfast and lunch menu (they are only open 7am-5pm) consists of assorted baked goods, soups, sandwiches, salads, various lunch combos, and of course, standard coffee shop offerings. Eat here again? Yes. 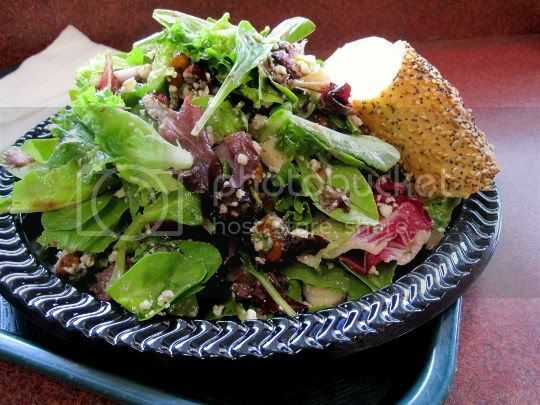 I'm definitely interested in trying more of their soups and sandwiches, and probably even the breakfast options too.